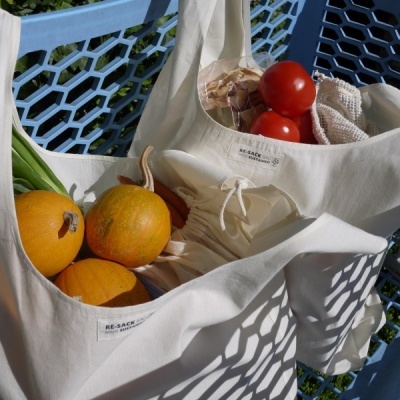 A reusable shopping bag, made out of organic cotton and GOTS certified. 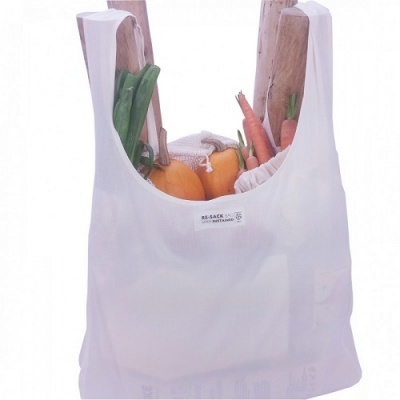 Re-Sack Shopping Bag is made out of organic cotton and GOTS certified! Perfect to use in combination with the Re-Sack Net or Re-Sack Voile. The Re-Sack Shopping bag is not only the perfect bag for the supermarket or farmers market but also to go to the swimming pool, beach or day at the park to enjoy small or larger picnics! As the bags are made from natural material, the bag may shrink about 10-12% from the original size. Organic cotton, biodegradable, recyclable, machine wash cold, hand dry.